Edited transcript of meeting between Robert M Chapple (RMC) and Rodney Moffett, Associate Director Amey NI (RM), accompanied by PA.
Material omitted from this document: personal names and details of given individuals; confidential material not in the public domain; comments not germane to the matters at hand. Wording has been changed for readability and to preserve sense. All edits and omissions are mutually agreed between the parties. Question: How do you feel that the actions of Declan Hurl reflect on your company and how they may reflect on Amey’s corporate values? (RMC) So you strongly believe that Prof Cooney is wrong in this? (RM) He is wrong. It’s not that I believe. He is factually wrong. Now, does that change the overall system? That’s debatable. But, as a fact, there was liaising that took place between RPS, on our behalf and the Department’s behalf, and NIEA in 2006 and subsequently in early 2008, and those communications have been missed, for whatever reason, by Prof Cooney. (RM) They never asked us. They obviously didn’t have a record themselves. I can’t comment on the state of their files, but I have our records … I have RPS’s email out and I have NIEA’s response back. (RM) Well, it is and it isn’t, because what it’s saying is what’s published in the Stage 2 assessment … the information’s there in that it’s recognised that there are crannogs in the area [supplied by John Cronin & Associates]. That information was available, it was taken into account in the Stage 2 assessment and, subsequently, the Environmental Statement. Essentially, there was a process followed to select a road alignment. 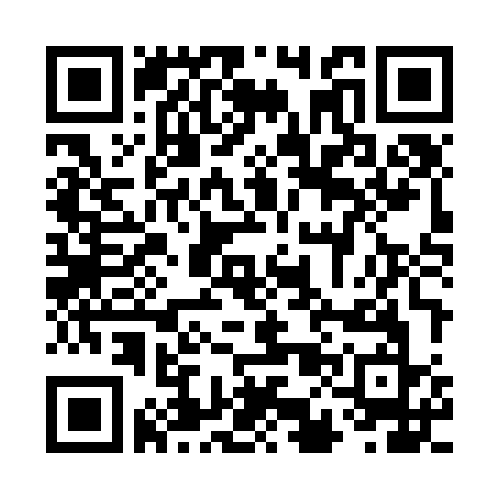 The first public information event was held March/April 2007 and that archaeological information was available. I don’t believe that Prof Cooney touches on that at all. (RMC) He mentions the Environmental Statement. He mentions Owen Williams, but it is very light at that point. (RMC) Have you considered a career in politics? (RM) Am I skirtin’ too much, am I? (RM) That’s … disappointing … All I can say is that I wasn’t directly involved. 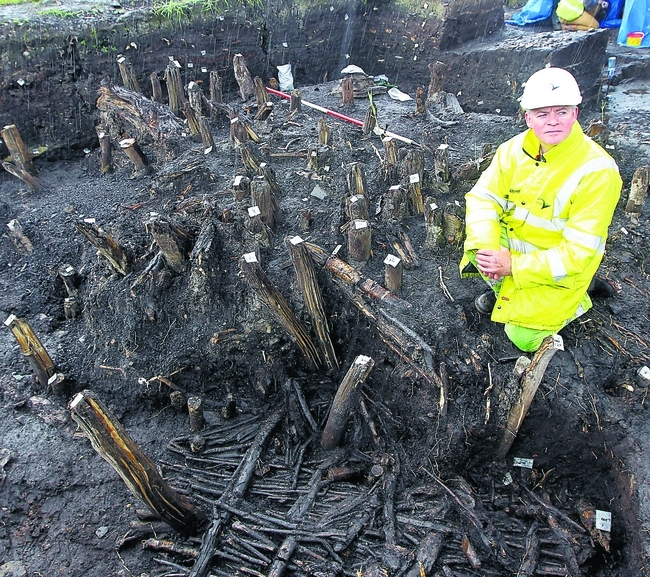 John O’Keeffe, who attended site and is responsible for NIEA, was the one who highlighted the presence of other crannogs to the site staff, and we have that noted. There was no excavation done on those, I don’t know if there is any planned, but they were identified. (RMC) The general NIEA guidance and practice would be that if it has been sitting happily in the landscape for the last thousand years, you don’t need to investigate it. (RM) So, long story short … the crannog was identified and whilst the location wasn’t finalised in terms of the extents. Because the ground conditions were so bad we couldn’t manually get in to excavate the extents, and it wasn’t possible to get machinery in at that stage. Again, Prof Cooney, for whatever reason, I don’t think has touched on this. There was a trenching exercise done … early 2011 … January/February time … which was supervised under license by Declan and some members of staff from FarrimondMcManus. (RMC) I know that’s not in there, but I have been told of that. (RM) But that obviously informed Declan’s thinking in terms of what he found at that stage. Declan came back, reported what he found, produced a report that was submitted to NIEA. At that stage the mitigation of preserve in situ was considered and it was basically down to, from an engineering perspective, ‘how do we do this?’ I know I’ve still not answered your question … I will come back to it! If I can give you two streams of that work activity – there was the engineering avenue in terms of how we actually build a road across what is fairly questionable ground, and not only in the area of ‘Drumclay Lake’ as it is now known, but further down towards the Tempo Road, ground conditions were exceptionally challenging. The geotechnical solution was to basically ‘preload’, and there were advance works where stone was loaded on the ground to allow settlement to occur. That happened on a section of ground between Tempo Road and Coa Road, and a small section to the Tempo Road side of the crannog was also loaded with stone at that stage. The ground was settling in accordance with our calcs at both locations. The Tempo Road continued to settle in accordance with calculations, the ground to the Coa side failed substantially. So, basically, the ground parameters were significantly worse than that recorded, so the geotechnical challenge became a real issue. Pressures of timescale, pressures of getting the job out, it was decided in partnership with the Department [DRD] that a ‘design and build’ solution would be sought, so the contract went out with a contractor-design element. Within that contractor-design element the preserve in situ approach was clearly documented. So I do fundamentally disagree with Prof Cooney’s statement that there wasn’t a clear mitigation strategy – there was. The tenders came back and a consortium of McLaughlin and Harvey-P.T. McWilliams J.V. [MHPT JV] were ultimately appointed. Their proposed design solution in that area was to strengthen the ground through soil mixing and a piling solution with a span across the crannog. Again, and I don’t have the exact dates, but I know that our geotechnical team engaged directly with the NIEA on that solution – both prior to the tender going out and subsequent to the tender coming back, in terms of ‘is this acceptable?’. Now there was differing discussions and differing views on it, and in fairness to NIEA I don’t want to pick on individuals, but different individuals had different answers. There was an acceptance from one [on one] occasion for a pile or a couple of piles to be driven through the crannog. There was a rejection on another occasion of the same solution. (RMC) I take it that’s what’s referred to by Prof Cooney as the difference in approaches between the two senior inspectors? (RM) That’s OK. So … to answer your question … I can understand that, at times Declan comes across as quite authoritarian. FarrimondMcManus, after the events were raised, expressed frustrations and concerns at the approach taken. I asked why this was not raised before, but it was raised afterwards. (RMC) Sorry, can we just define ‘afterwards’ … as in … after …? (RM) Was Declan authoritarian in his approach? Yes, I would accept that he probably was. Was he professionally efficient in his role? I’m not in a position to say, but when I asked people whose opinion I respect, I was concerned that their initial answer wasn’t a complete yes. These people did not challenge his professional ability per se, but they did, and it’s easy in hindsight, but they did express concerns that the approach being adopted was, in their view, slightly old-fashioned and not in line with modern techniques. (RM) I spoke to FarrimondMacManus about the others on site, because I wanted to get a balance. There’s two sides to every story. When the blog first came out, we understood and we found out that there were pressures on site. The question to Declan was what, essentially, is going on. And the answers were that there were some in the excavation team who either were unhappy about being there or were destructive to the works in some shape or form. I challenged that and, on a balanced view, I think there were faults on both sides. I accept that Declan was authoritarian in his style and adopted slightly older methods. I think the method that that was challenged, if it had gone through FarrimondMacManus it probably could have been resolved on site. I think it is disappointing that, for whatever reason, the individuals … I don’t understand why … I understand they, perhaps, raised it with Declan, but didn’t raise it with their own management team – for whatever reason – and I can’t answer why that happened. (RM) As I said, I spoke to FarrimondMacManus after it first came out and it was accepted that there was a balance. Whilst I’m not in any shape or form pretending that Declan was blameless, I think there was fault on both sides in some shape or form. So … have I answered your first question … ? (RM) As I understand, and, again, I’m not an expert on archaeology in any shape or form, so I can’t comment, but I’ve taken feelers on the approach taken and I’m led to believe that the approach was, if I can say ‘old fashioned’. It may not necessarily have been professionally flawed, because I don’t know that, but certainly the consideration was that it was old fashioned in the manner. (RMC) The thing is that archaeological sites build up vertically (essentially). So the youngest stuff is going to be at the top. And that, I think, is Declan’s biggest archaeological failure in thinking that because he had one set of evidence that in itself was coherent, but it was very much out of step with all of the rest of archaeological thinking on crannogs. The unfortunate thing for him was that he didn’t take a robust enough understanding of crannogs in general and thought that Fermanagh was a self-contained unit, different to everything else. (RMC) Yeah, we’ve pretty much wrapped that up … I would request your comment on Prof Cooney’s statement (and it’s made a number of time throughout this report) that the trenching work was in breach of the Historic Monuments and Archaeological Objects (Northern Ireland) Order 1995 and that Declan Hurl first attempted to conceal that illegality, later admitting it to NIEA operatives. (RM) Again, perhaps unsurprisingly, Robert, I have some real issues with the facts around that. (RMC) I’m willing to listen! (RMC) So, you reckon this comes down to a communication issue? (RM) OK … we’ll come on to that … there was the trenching which was a top layer which was, essentially, to establish the extent of the crannog. If you remember, we talked about the parallel streams – as the works progressed it became obvious that the solution put forward by MHPT JV was failing. They attempted to drive piles, it didn’t work. So they and their designers went away and came back with a proposal to excavate and dig-and-replace (from an engineering term) – they sought to dig out the poor ground and replace it with rock and stone and everything else. After a lot of consideration by the Department and ourselves, accepted that that was a reasonable solution. It provided firm foundations from which we could span the crannog and solved a lot of issues. It wasn’t without risk, but it solved issues. And, again, NIEA were aware of the change in methodology that was adopted. 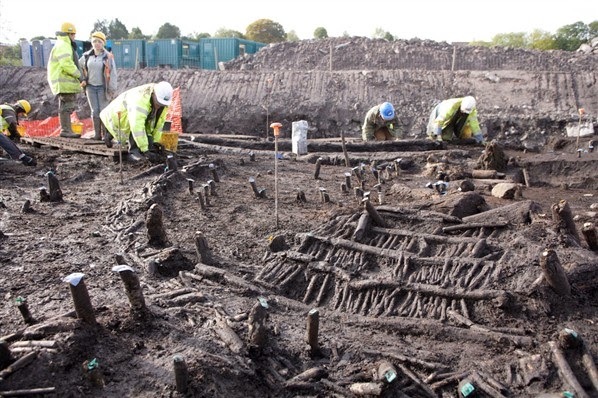 [MHPT JV] then proceeded with their dig-and-replace solution and, obviously, there was a degree of dewatering occurring as part of that, and that resulted in a ‘movement’ in the crannog. Now, that movement was spotted pretty much straight away and a rock bund was put round the crannog. Whilst I appreciate that the preserve in situ strategy then became highly questionable, if not no longer valid, up until that stage everything was done with that in mind and the dig-and-replace solution would have actually provided a preferred and a better – because it removed the need to put any piles in any close proximity to the crannog and it would also have allowed the groundwater to return to its normal level – the road would have just come over the top, because its sitting on hard rock. So, it’s a valid solution, and that’s what happened, essentially. (RM) I’ve asked if that happened. It’s not Declan’s view on what happened, although he does acknowledge that he held a meeting with all the people and they were all in the room and there were words exchanged. In terms of hiring and firing, the excavators didn’t work for Declan, so he wasn’t in apposition to either hire or fire. Once the blog occurred there was contact made with FarrimondMacManus who were the employers and, ultimately, it was their decision as to who remained on site or who went off. That said, Robert, and I fully acknowledge that there obviously was a quite serious breakdown in communications at that stage between Declan as the lead archaeologist and those who were there, essentially, as a team and I can’t comment on the decision taken by FarrimondMacManus but I believe it was more focused around maintaining a team rather than apportioning blame, and that’s my understanding from speaking to them afterwards about it. (RM) I didn’t have any other employees in that room at that time, as I understand. I’ve asked my site team, and nobody else claimed witness to it, so I can only comment on what I’m being told. But, ultimately, the hiring and firing – who worked and who didn’t – was a decision for FarrimondMacManus. (RMC) So, I would take it that you don’t believe that either Declan or, Amey as his employer, owes anybody an apology? (RM) No … listen … this job did not go well, and I fully acknowledge that! Ultimately, there is a crannog – fair enough, that’s been excavated in Enniskillen that could still be there – ultimately, there are lessons to be learned. In terms of owing any individual an apology, I don’t think that I’m in a position where I can apologise on an individual basis. But, as a company, I am sorry that a lot of these issues were not addressed before they ever happened. You know, hindsight’s a wonderful thing, and I am frustrated that some of the information that we received was not clear to allow us to make more appropriate decisions, particularly in the design and assessment stage, to be honest. And that’s where my bigger frustration is, I have to say, particularly in … it’s easy to pick on NIEA, but had there been a stronger line taken at that stage, basically ‘there’s a risk there’s archaeology here – don’t even go near it!’ … that sorts it out. (RM) … I do think … I’ve been honest, hopefully, and open about Declan, but I suppose the other side of the coin – to give Declan his dues – I do think that because of the blog – and I don’t think it was your intention at all – I think Declan personally received a high degree of vilification which I don’t feel was completely justified … now, I might be wrong in that, I not fully aware of the professionalisms of archaeology, or what he should or shouldn’t have done, but reading some of the information and some of the material that’s obviously very strong and strongly against an individual, which I feel is, perhaps, unfair. (RMC) … So going on to six … can I ask – and I do realise that this is personal employment details – you do not have to answer this, but what happened with Declan after the 30th of July 2012? Up to that point he had been the sole director, he then became co-director, and by the time the license was renewed in January he was no longer on the site – the license was renewed solely to Dr Bermingham. (RMC) So, I take it that he didn’t receive any disciplinary action? Or retraining … mentoring? (RMC) I would take it that the final part of my question … you would very much take the position that, in light of Prof Cooney’s report, he shouldn’t face censure now? (RM) Ah … I would take that position, yeah. Again, in terms of lessons learned, I would also take the position that we would not, as a company, be undertaking any archaeological excavations or major works in Northern Ireland. Simply, we’re not going to put him into that position again. Now, that’s not an acceptance that Declan necessarily did anything wrong, but it’s an acceptance that there is a benefit from having those roles separate. (RMC) … I think we’re all grateful for that … An overall question, and this kinda’ comes to the lessons learned … not just specifically Prof Cooney’s previous comment, there, but the whole thing … how do you feel that it reflects on Amey? (RMC) One very, very specific question which doesn’t come up in my blog, it doesn’t come up in Prof Cooney’s report, is ‘which company/body is named on the contract as being responsible for organising and funding the post-excavation phase? (RMC) Right … the one thing I want a very clear answer, if you can give it, please, is – you’re saying that Amey is not standing in the way of any post-excavation activities? (RMC) Nothing is going to come through you? (RMC) You’re not going to be in a position to channel funds? (RMC) Thank you! That is a very important question! (RM) Listen, as I say we’re – and we always have been – more than happy to get involved and to share and, fair enough, to learn. I understand and I agree with you, if there’s blame to be apportioned, then it should rightly be apportioned. What disappoints me, and I don’t know Prof Cooney, I was disappointed at some of the things that are simply wrong and factually incorrect because the information wasn’t there, and that’s a frustration. (RMC) Coming at it from the other side – as you will have read in my blog – I have frustrations with this too. Some of these I know they were simply outside the scope of his report, for example the post-excavation phase and everything like that. I’m not pining for my little piece of history, but I would have thought it fair that the pressure brought to bear by the advocacy movement surrounding the Cherrymount Crannog Crisis group, that at least some mention of that was made … Because it does read … and I know I used heavy-to-industrial strength sarcasm with this, but it does seem that John O’Keeffe just woke up one morning and went ‘Right! We are going to fix EVERYTHING NOW’ … and, I’m sorry, but that is just counterfactual. So, yeah, I’ve got issues coming from the other side. I have now liaised with our team in Northern Ireland with regards to the issues you have raised. Due to the fact that we have a strong presence in Northern Ireland, the team are very much aware of the project and indeed the contents of Professor Cooney’s report. While, in our view, the team did everything in their power to liaise and comply with the relevant bodies, the team does accept there are lessons to be learned and will continue to engage proactively with the Department and the wider as and when required. I appreciate that you have raised a number of specific points therefore to avoid email correspondence, of which may appear to be impersonal and clinical, I am pleased to advise that our local team would like to meet with you to discuss the issues, you have raised, in full. I hope you find this acceptable and would ask you to contact Rodney Moffett at our office in Rushmere House, Belfast, to agree a mutually convenient time and venue. The TL;DR version is: We’re not to blame for any of this, but we’d like to meet with you to convince you in person. I would … be uncomfortable meeting without an agreed agenda and I see no need for an unstructured open discussion as a preliminary exercise. I attach an agenda based on my initial questions. Either you are comfortable with speaking to these points, or you are not. … turns out there were comfortable after all and there was no more talk of general conversations and supplementary meetings. The agenda, based on the original set of questions, was accepted, along with the requirement that the meeting be recorded. So that’s how Rodney Moffett, the Associate Director of Amey NI, accompanied by his Personal Assistant, arrived at my house on the morning of July 31 2015. My original intention was to ask my questions, receive Rodney Moffett’s answers, write up the transcript and use that as the basis of this or any subsequent posts. I had taken a deliberate decision to not provide aggressive rebuttal or confrontation to any of Rodney Moffett’s replies as I felt that my position was already perfectly clear and, beyond stating general levels of agreement or disagreement, it would add little to the encounter to turn it into a rerun of Jeremy Paxman vs. Michael Howard. Instead, I wanted to take sufficient time to contemplate any of his replies and provide thoughtful, considered argument as part of a post such as this. That brings us to the recording itself. By mutual agreement, I have omitted a number of personal names of given individuals, confidential material not currently in the public domain, and comments and discussions not directly germane to the discussion. Where the wording has been changed from the original meeting, it has been done in the interests of clarity, readability, and to enhance the general sense of the discussion. My process here will be to extract the questions, Rodney Moffett’s answers, and to provide response and context where necessary. I have attempted to preserve some of the feeling of a spoken conversation, leaving in occasional miss-started sentences, and incomplete ones where we interrupted and cut each other off. For anyone wishing to read the full transcript, shorn of any further comment and question, you may inspect it at your leisure: here. That would appear simple enough, if it had not been for the somewhat complicating factor of Declan Hurl sending an open letter to Prof Gabriel Cooney (and cc’ing co-authors Nick Brannon and Sarah Witchell, along with DoE Minister Mark H. Durkan) for publication in Archaeology Ireland magazine. Hurl’s Apologia Pro Excavatio Sua covers much of the same ground as the Rodney Moffett conversation. I had thought about attempting to deal with them separately, but they are so closely related that it seemed best to take them together. With regard to Hurl’s Apologia, I should clearly state that I have not spoken to Prof Cooney, or either of his co-authors, about this letter or their feelings regarding it. Personally, I hope that Cooney’s initial response was to have it printed on nice soft paper and then use it to liberally dab away the tears of mirth and laughter before getting on with something that actually deserved his attention. It shouldn’t need saying, but I’m going to do it anyway: Cooney and his co-authors are not helpless damsels in high towers – they do not require me to ride to their aid. However, as the Apologia is an open letter on a topic I feel strongly about, I believe that I am well within my rights to provide analysis and rebuttal. The other thing I should say is that following the publication of the Apologia, I was approached by a member of the Phase 1 excavation crew who offered me their responses to a number of Hurl’s assertions. Where I have quoted from the notes they provided, they are referred to as TLA (Three Letter Acronym) to preserve their anonymity. To investigate whether or not TLA’s rebuttals were fair and accurate, I approached another member of the Phase 1 excavation crew for their response to the Apologia, but (crucially) did not share TLA’s comments with them. This second person (hereafter TLB) provided a remarkably coherent and consistent picture that matched TLA’s in almost every detail. It all seemed to go so well at the beginning – everything was civilised, friendly … even cordial. Then I attempted to ask the first question on the agreed agenda. However, Rodney Moffett obviously had other things on his mind and a message that he dearly wanted to get across: Cooney got it wrong because he didn’t engage with Amey and this has led to inaccuracies in the final report. From what I can ascertain, the terms of reference of the review were set to only include information from the two main government sources: NIEA and the DRD. My own perspective is that this decision was flawed and that key information was missed because of this. As I have said before, there are a number of points where I feel that the exclusion of the narrative concerning the activities of the Cherrymount Crannog Crisis advocacy group has led to a deeply skewed take on how the situation was finally resolved. Coming at it from Amey’s perspective, I see that it must be frustrating that certain matters appear to be incorrectly described in the report, when a request for additional information could have provided the answers. But, as noted above, even Rodney Moffett admits that many of these are relatively minor considerations that do not impact on the overall situation (“Now, does that change the overall system? That’s debatable.”). True, it would be nice to have a clearer understanding of the correspondence between Amey and NIEA as far back as it really went, but does any of this diminish the reality of the fact that by July 2012 the crannog at Drumclay was being poorly excavated by Declan Hurl and without any competent oversight from NIEA? Not in the least! If anything, evidence of a longer period of consultation between NIEA, DRD, and Amey on the existence of and means of successfully resolving the archaeology is even more shameful. How do you feel that the actions of Declan Hurl reflect on your company and how they may reflect on Amey’s corporate values? That’s a pretty strong statement from Rodney Moffett! My first reaction was that I want to work for Amey … when you’ve screwed up so hard that there’s a government investigation into your actions (among other things) it would be easy for a company to quietly suggest that you seek employment elsewhere … anywhere … Now! … But, instead you’ve got a manager who’s willing to travel across town to personally defend you, rather than throwing you under the bus … that’s a great company to work for. Even still, Rodney Moffett’s statements are instructive. He agrees that Declan Hurl’s management approach was ‘belligerent’ and ‘authoritarian’ and notes that, even if only informed after the event, his approach was outdated and antiquated. While being a robust defence of his employee, Rodney Moffett’s words are obviously nuanced and controlled, holding back from a fully-fledged endorsement. In terms of ‘lessons learned’ it is gratifying to see that one change that Amey have implemented is the division of roles between their company archaeologist and the providers of archaeological advice and expertise. … oh … wait a minute … the Historic Monuments and Archaeological Objects (Northern Ireland) Order 1995 doesn’t just apply to archaeologists present at the time! The evidence presented here may – in part – exonerate Declan Hurl from direct complicity in the illegal trenching activities, but it still raises new and troubling questions about how the archaeological site works were being handled by Amey. How come the licenced archaeologist was deployed on other works to England when it appears that the crannog was a ‘live’ site requiring archaeological oversight? How come NIEA and Amey engineers were discussing how to resolve the archaeology in the absence of the licenced archaeologist? If this version of events is shown to be correct, Declan Hurl may not be directly to blame for this illegal activity. However, there still remains the issue that, as the licenced archaeologist, he must retain some degree of responsibility for the works carried out on the site. While Rodney Moffett would spin this as a communications error – NIEA staff didn’t make it clear to Amey engineers (in the absence of the site archaeologist) that works impacting the archaeology must be overseen by an archaeologist – I really can’t find fault with the NIEA here. What other expectation could there possibly be? It’s an archaeological site and the company has an archaeologist on staff – why could you possibly think that this is not an archaeological issue? It’s not like Amey have never dealt with archaeological sites before. As Rodney Moffett says later on in the interview: “this is not the first site that archaeology has been on … we’ve done several …” … well, if that is the case, why wasn’t there even a basic understanding that these works should be archaeologically monitored? While this portion of the Apologia may be described as an attempt at deflection and self-preservation, it would seek to bypass the issue of, if not Declan Hurl, then who is to blame for the unlicensed trenching of the crannog? Rodney Moffett says it quite clearly: ‘our site supervision team’. Given the current evidence, I would suggest that they had every reason to understand that works on and around an archaeological site would require the presence of an archaeologist. If Amey are unable to employ engineers with this much rudimentary sense, I fear that this will do much more damage to the company’s professional reputation than anything wreaked by one ‘belligerent’ and ‘authoritarian’ archaeologist. Reading between the lines of these two statements it appears to show a company ill-placed and ill-prepared to deal effectively with archaeological undertakings. Their engineers appear to have no understanding of, or respect for, the work done by their company archaeologist and a management layer that is content to redeploy the archaeologist to England during crucial periods. It’s not a picture that fills me with confidence in their abilities. If NIEA were not at fault for ineffective communication of their requests, they are certainly at fault for not pursuing a prosecution once they realised that a potential breach of the Order had occurred. Not only did they not seek to prosecute the offence, they didn’t so much as administer a slap on the wrist for it, eventually renewing the license without any further conditions, warnings, reprimands, notes … nothing! This in itself should give the reader pause for thought at the degree of capability and leadership shown by NIEA personnel. In the first instance, this is pretty much contradictory to Rodney Moffett’s claim that FarrimondMacManus “weren’t fully aware of the extent of the problems.” Beyond that, Declan Hurl’s contention is that there were troublemakers who really didn’t want to be on the site and so decided to be maliciously obstructive. This is totally and wholly believable because in 2012 there were just so very many jobs for field archaeologists to choose from … people were just crying out for archaeologists and if you didn’t like the job you were on, you could just cause trouble because the next one was just around the corner. In fact, the situation was quite tedious – you could hardly get any digging done for being in such demand and don’t even get me started on the constant adulation! That’s part of a post for an alternative universe version of this blog … the one where I’m an archaeo-rockstar and go everywhere on my unicorn that constantly vomits rainbows! “[T]he team were struggling on a daily basis to introduce some kind of professionalism, science and systematic methodology in the face of a stone wall of ignorance, denial and disregard for archaeology in the form of Amey and Declan Hurl”. My assessment of the available evidence is that Declan Hurl is correct in saying that he had a number of vocal and vociferous detractors on site, but is deeply disingenuous in his reporting of their motivations. These were not individuals doing this for the fun of being annoying, nor were they bored at having to dig a wetland site with great structural and artefactual preservation. These were, as I have long stated, highly skilled, experienced, and committed archaeologists who were outraged at the treatment of the site by Declan Hurl. All the narratives about this site at this time are in agreement on this point. The fact that he has attempted to sell this alternate version of events to both his employer and the archaeological profession at large is nothing short of shameful. From there we move to Agenda item 6 – a request for comment on Declan Hurl’s post July 30 2012 history on the site and his employment generally. As this question potentially touched on several items of Hurl’s personal employment record, I was keen to tread gently, but still wished for an answer. Here in particular, there are points that have been redacted at the request of Rodney Moffett. I had next wanted to move on and request comment on Prof Cooney’s statement that “It does not appear that RS/Amey and from late 2011 MHPT JV had a coherent or consistent strategy to mitigate the impact of the road on the crannog”. However, in his urge to provide a lengthy opening statement, this topic was somewhat covered, and I felt that there was little need to get him to reiterate the lot again. I suppose that the first thing to take note of here is that there does appear to be a genuine interest on the part of Amey in learning from this situation and ensuring that it is never repeated. Perhaps I’m being over sensitive when I feel that his point that “any negative comment puts those jobs at risk” attempts to shift the blame for a deterioration in Amey’s image from their own actions to vocal commentators such as myself. I would make the point that any damage to Amey’s public image would stem wholly and solely from their own actions and mismanagement of this site and Declan Hurl as Site Director, rather than the reporting of the situation. It is equivalent to attempting to blame Woodward and Bernstein for committing the burglary of the Democratic National Committee headquarters. While both Rodney Moffett and I would be keen to analyse the situation to understand the lessons that need to be learned so that this never happens again, I do believe that responsibility should be identified at the level of both institute/company and individual. Without this degree of resolution of culpability being identified, how can individuals ever be retrained, mentored, tutored, re-educated to improve their performance? By the same token, the identification of individual-level responsibility would potentially indicate that some personnel be pensioned off to ‘spend more time with their families’ or simply told to find alternative employment. Without this level of investigation and correction I firmly believe that another iteration of the Drumclay fiasco is inevitable. My final question to Rodney Moffett was one that I had not included in the original blog post, but had begun to think was quite salient: which company/body is named on the contract as being responsible for organising and funding the post-excavation phase? Despite my initial reaction, I think there’s some good news here. Amey are in no position to influence the process of post-excavation analysis and publication. No monies are going through them and they’re in no position to delay the process. However, the more worrying issue is that, based on Rodney Moffett’s understanding of the situation, there was no formal agreement in place before the commencement of the excavation to ensure that the post-excavation phase would be properly resourced and funded. It can only be regarded as extremely worrying that the ultimate fate of the site archive and its publication appears to reside in a grey area to be debated over by two government departments. Beyond the watchfulness that now needs to be placed on NIEA, DRD and any engineering companies undertaking large-scale infrastructural works, this question of how the excavated materials are stored, conserved, curated, and published are of the highest importance. For now, all we can do is watch and wait. The ‘Fredengren’ referred to is Christina Fredengren, author of numerous pieces on Irish crannogs, including Crannogs: a Study of People's Interaction With Lakes, With Particular Reference to Lough Gara In the North-West of Ireland. ‘O’Sullivan’ obviously refers to Prof Aidan O’Sullivan of UCD. His PhD thesis was on The Social and Ideological Role of Crannogs in Early Medieval Ireland and has written extensively on all aspects of crannogs and Early Medieval settlement and economy, including a beginners introduction to the subject: Crannogs: Lake-dwellings of early Ireland. So, Declan Hurl's defence hangs on the idea that although he had access to, and claimed familiarity with, the works of the major thought leaders in the field, he ignored them and all their publications and all of their combined expertise because the preliminary investigation – that stopped at a mere 0.60m – indicated a late date. I’ll be honest and say that Declan Hurl’s rebuttal here did give me pause. What sort of depths and thicknesses should we be expecting from these sites? Was there no reason to expect that the Drumclay site should or could have been so deep? Had Declan Hurl been judged too harshly by Prof Cooney, by myself, and a host of other commentators? Were we all wrong? There’s a long list of things I am not, and somewhere on there is the term ‘Wetland Archaeology Expert’, so I decided to ask one for their professional opinion. Even after a brief series of exchanges with this individual (hereafter TLC), it was clear to me that several of the most significant Irish crannog type sites have considerable depth. For example, Ballinderry I in County Westmenth was approximately 5m in depth, while Lagore in County Meath was found to be around 3m in thickness. Even the partially waterlogged Early Medieval site at Deerpark Farms, County Antrim (a site that Declan Hurl actually worked on), was the same general thickness of several meters. The only sensible conclusion is that, had he been in any way familiar with the published evidence, Declan Hurl would have known that crannogs (and Early Medieval sites generally) could be of several metres in thickness. That he did not embrace this as even a vague possibility indicates a catastrophic failure of professionalism. With reference to the presence of a camera on site, Prof Cooney noted that there was only one camera on site and that no photographic register had been instituted. Declan Hurl agrees with this assessment, adding that ‘For a site of this size, one camera was all that was required’. He also notes that this was his personal camera and photographic title board and that both were “on site throughout the working day for use by the crew, even when I was not on site myself.” I’ll say that I’ve a bit of sympathy for Declan Hurl here – I’ve run sites where I’ve been forced to make my own camera available as the site camera. I clearly remember one occasion where I was directing two excavations in two different counties and, having to divide my time between the two, could only make the camera available for limited times at each. The difference between my experience and Declan Hurl’s is that I’m not attempting to pass the experience off as an appropriate and professional response to the needs of either excavation. At that time I was in the employ of a less than proficient consultancy that could not organise the purchase of, or apparently afford, an appropriate camera. On the other hand, Declan Hurl worked for Amey Plc, a company described by Rodney Moffett as “focused on providing a service to our clients and our underlying ethos is all about progression, collaboration, and working with people.” This is also a company that, in 2012 alone, had over £5.1M in the bank and a net worth of in excess of £37M – I think they can afford a couple of cameras! I do take exception at the way Declan Hurl appears to pass over the fact that for a complex excavation that lasted for over a month he did not see the need to produce a photographic register. Anyone with even the most basic experience of working on or directing an archaeological excavation will know that a comprehensive, detailed photographic register is not a ‘would be nice to have’ item, it is a basic requirement. The fact that he does not appear to view it in these terms speaks to a profound lack of professionalism on his behalf. I would suggest that anyone looking for the source of the disenchantment of a remarkably capable and experienced excavation crew, not be taken in by talk of ‘agitators’, but look instead at the multiple and significant failings of the Site Director. While I cannot speak to whether or not Prof Cooney had additional information that he did not include in his report, I can present the consistent testimony of two individuals who were present on site during the Phase 1 excavation. Their statements not only directly contradict the narrative put forward by Declan Hurl, but comprehensively support the assertions made by Prof Cooney. While Declan Hurl may wish to portray his Apologia as a definitive statement of rebuttal that settles all accusations in his favour, it is no such thing. In the light of the comments made by both TLA and TLB, there is no need for ‘other, more damning evidence’ – the conclusions drawn by Prof Cooney can be seen to be well reasoned, balanced, and founded in reality. Let me say this again – loud and clear – so there’s no mistake about it: ‘the central issue was the non-professional standard of the conduct of the excavation under the site director.’ Prof Cooney says it, TLA says it, TLB says it, everyone I’ve spoken to that worked on that site says it, the only person who thinks differently is Declan Hurl! To the best of my knowledge, this is the first time that this allegation has been made publicly, though I had been previously aware of it. I don’t presume to know all the details of such frustrations and exasperations, but I would put one further detail in the public record that may add some illumination and context to this remark. As is well known, during the Phase 1 excavations I was approached by a number of people on the site. What I have not previously made public is that I also received a number of contacts during the Phase 2 excavation (directed by Dr Bermingham). There was, however, a distinct difference between these two sets of ‘troublemakers’. The ones making contact during Declan Hurl’s tenure had, as we know, serious concerns at the lack of professionalism and restrictive timescales on the Drumclay excavation. Those seeking to be ‘whistle blowers’ during the Phase 2 excavations were subtly different – their issues centred on the imposed end date to the excavation, to ensure that the road was in place for the June 2013 G8 summit. No one I spoke to during this point had any negative comment about the direction provided by Dr Bermingham or her site supervisors. Perhaps there is more to this that I am unfamiliar with, but I feel that it is important to place this potential piece of context in the public domain. There can be no argument that these discoveries are anything other than significant. Dunragit is significant, Drumclay is significant … they’re equal! … they’re the same! … right? Well … no … actually. Significance does not always correlate with complexity. From what I can see from the pieces I can find on the internet, the sites investigated as part of the Dunragit scheme were all of the ‘regular’ dryland archaeology types – cuts into subsoil and a variety of fills. There’s no indication that any of this was of the same level of complexity as the Drumclay site where waterlogged conditions preserved vast quantities of environmental evidence and artefacts that simply would not have survived on a dryland site. I’m in no way attempting to denigrate the work of the archaeologists on the Dunragit project, merely pointing out that the levels of preservation and complexity involved are not the same. The next issue is to consider how exactly was Declan Hurl involved in this work? There are numerous pieces on the internet covering the discoveries in one way or another. These include the Transport Scotland website mentioned previously, along with pieces in the online versions of The Scotsman, Herald Scotland, Heritage Daily, Smart Highways, the New Historian website, and a piece in the IFA’s Scottish Group Newsletter. In none of these is Declan Hurl mentioned in any way. He is neither the author of any of the pieces, nor is he directly quoted in any of the reporting. I note this, not to mock him, but to suggest that there would appear to be a distinct difference in his roles between these two projects. By way of contrast, I would point to an early piece on Drumclay by the BBC (Nit combs are 'nothing new') where Declan Hurl is photographed and prominently quoted. I would suggest that the contrast that is being presented is not one of like for like. Overall, we may reasonably conclude that the Dunragit project related to a different type of archaeological remains that did not require as developed a methodological approach as Drumclay, and the Declan Hurl appears to have been in a different role, possibly one that gave him less direct contact with the excavation crews, and certainly one where he had less contact with those reporting on the findings. I think that Declan Hurl’s sleight of hand in attempting this ‘compare and contrast’ is a distinctly suspect move, intended to obfuscate rather than illuminate. Not only do these statements reveal the very little regard that he had (and would appear to still maintain) for the site, but it bears restating that the situation was partially caused by him, Amey, his employers, and McLaughlin and Harvey-P.T. McWilliams J.V., the subcontractors, along with a catastrophic failure of leadership and oversight by NIEA. If the site was ‘potentially crumbling’ and ‘disintegrating’, was it not because of the trenching and dewatering of the bog land carried out by Amey and MHPT JV? Were the ‘serious time pressures’ not a direct result of Declan Hurl’s insufficient grasp of the quantity, quality, and physical depth of the surviving archaeology and his inability to devise an appropriate timescale and effectively communicate it to his engineering colleagues in Amey? Declan Hurl presents these facts as though they are somehow external to himself and his direction of the excavation, when he was a key contributing factor to the entire Drumclay fiasco. It is truly difficult to continue this analysis without feeling that I'm being overly harsh in my criticism of Declan Hurl's abilities, but I believe that they are just and they are fair. Despite his protestations, Declan Hurl's skills as an archaeologist were clearly out of date by at least two decades, if not significantly more. Let me say it again: This is not the "slightly old-fashioned and not in line with modern techniques" that Rodney Moffett may have been led to believe. To put this in context for Rodney Moffett, Mel Ewell, or anyone else reading this from Amey: how would you feel about having an engineer on site whose skillset remained unchanged from the mid-1990s and also appeared ignorant of significant developments during the previous half century? Why don't y'all send me a postcard about how good that job would go for you? Finally, I want to turn to Declan Hurl’s closing remarks, where he says that as the document has been presented to the Northern Ireland Assembly and made public that an apology is no longer sufficient. He will now “consider how best to further pursue the matter.” The obvious implication is that he is contemplating taking legal action to remedy the “slight it [the report] has inflicted both on my professional abilities and on my personal integrity.” My first reaction to this is to say: please do! It would be to the benefit of everyone involved to put all the facts before a judge and have the matter adjudicated on once and for all. I say ‘to the benefit of everyone involved’, but I have no reasonable expectation that Declan Hurl could possibly come off well in such a situation where facts are under consideration and not the egregious spin that he attempts to place on them. My second reaction to this statement was ‘what the devil were you thinking making this threat?’ Either one is going to do it or one is not – why go to the trouble of penning the Apologia only to end it with ‘a retraction is not good enough, but I’ll have to think about what I do next’? Is there any conceivable way in which this threat can be regarded as ‘thought through’? – it has all the depth of a juvenile revenge fantasy cooked up in the shower: ‘I know what I’ll do! I’ll threaten to sue them! That makes grownups scared! It’ll be brilliant! I’ll have my day in court and then they’ll see!’ I don’t mean to be overly harsh, but if anything speaks to the lack of professionalism exhibited by Declan Hurl, nothing is quite as eloquent as this closing statement. I’ve got to thank Rodney Moffett for agreeing to schlep across town to come talk to me directly. He really wanted to engage and put the Amey point of view across and, potentially, remove some of the tarnish caused by the Drumclay fiasco. He had several valid points to make and brought additional context and explanation around certain events. Although he attempted to mount a robust defence of Declan Hurl as an Amey employee, his words were nuanced and attempted to bring balance to the situation. His admission that there were failings in Declan Hurl’s management of the Phase 1 excavation contrasts markedly with Hurl’s own account, where he attempts to paint himself as a consummate professional and the wronged party in this series of unfortunate events. For all of Rodney Moffett’s attempts at explanation and reconciliation, it is clear that he has unwisely based much of his own narrative on Declan Hurl’s flawed and self-serving account. I fear that, laudable defence of a company employee aside, Rodney Moffett has somewhat impinged on his own reputation and reliability by attempting to pass off such misrepresentations as fact. In his position as Associate Director of Amey NI, I would imagine that his abilities to sift through various sources of data to quickly reach their essential points is paramount. His apparent failure to see through fabrications created by his employee – fabrications that can be easily and comprehensively shown to be (at best) disingenuous – are unlikely to endear him to his superiors. Declan Hurl begins his Apologia by stating that it was his fervent expectation that Prof Cooney’s report would be “objective, comprehensive and penetrating.” Despite devoting significant energies to creating an open letter that amounts to an excursion into the Land of Smoke & Mirrors (which is considerably nicer than saying that it deliberately obfuscates, misdirects, and attempts to promulgate outright falsehoods), it is clear that Cooney’s assessment is just that: objective, comprehensive and penetrating. True, it could have been clearer on some points and a wider remit may have produced a report with significantly different nuances in certain places. For example, it might have been clearer that Declan Hurl was not wholly personally responsible for the unlicensed trenching on the site that was an alleged breach of the Historic Monuments and Archaeological Objects (Northern Ireland) Order 1995. Nonetheless, it is clear that there was potentially illegal activity that was not investigated by the NIEA or passed to their legal team to pursue a prosecution. Such a wider remit may also have demonstrated a much longer relationship and series of contacts between NIEA and various other key stakeholders. As for the remainder of the charges brought by Prof Cooney, it is clear from the testimony of TLA and TLB that these are accurate, fair, and appropriate. Declan Hurl attempts to recast Prof Cooney’s report as a “misrepresentative, selective and partisan document”, when it couldn’t be further from the case. If one had to pick between Cooney’s report and Hurl’s Apologia, it is clearly the latter that deserves this accolade. Despite all the points raised and the rebuttals that Declan Hurl has attempted to bring to his defence, it is clear that (with the possible exception of the issue of the illegal trenching) Prof Cooney’s assessment of the man and his methods is correct. Declan Hurl’s attempts to ignore some evidence, selectively use certain facts, and concoct elements of pure fantasy can only be regarded as desperate actions. Topping it all off with a childish threat to take everyone to court only adds a sense of sadness at the desperation he has reached. To be sure, Declan Hurl is not alone in his culpability of what went wrong at Drumclay. Prof Cooney’s report includes ample evidence of strategic failures by numerous individuals within NIEA, DRD, Amey, and McLaughlin and Harvey-P.T. McWilliams J.V. The difference is that, while there has been some resistance, those I have spoken to or have made public statements on the matter are keen to identify where the issues were and how they can learn from these. Only Declan Hurl has taken the radical step of attempting to rewrite facts and spin events to make himself look like the injured party, and suggesting that he’ll sue anyone who disagrees with him. For this reason, I can only see his Apologia as a contender for the title of Longest Suicide Note in Irish Archaeology. Whatever chances he may have had in rebuilding his career and reputation are, to my mind, effectively dashed in the revisionist maelstrom he has attempted to conjure up about himself. I’ve said before that it is not for me to decide what happens to any individual in this case. Rodney Moffett has made it perfectly clear in his statements that Declan Hurl has not, nor will he, receive any form of official reprimand or chastisement. However, in the light of the recurring reimaginings, reinterpretations, and statements that are inconsistent with reality that are presented in the Apologia, it must surely be time to review this position. Any individual who can so determinedly misrepresent events and facts in the cause of self-preservation can only be a liability to any company that employs them and anyone that defends them. As I have stated before, the review of archaeological licencing currently underway at the NIEA, must give serious consideration to whether Declan Hurl can be regarded as a sufficiently fit and competent person to be allowed any future role on any archaeological excavation in Northern Ireland. In the light of the nature of the Apologia this can only be of even greater importance. By the same token, I feel that it is incumbent on the various professional bodies, such as the Institute of Archaeologists of Ireland, to urgently reassess the actions of key players in the Drumclay fiasco to determine whether or not they should be stripped of their membership. What is obvious is that, despite the publication of Prof Cooney’s report, there is still some way to go to obtain consensus around the nature of the events that led to the Drumclay fiasco and who bears responsibility for them. While Rodney Moffett is keen to defend his employee and the company they both work for, he is at least realistic in accepting that there were gross failures in the process that need to be addressed. I am of the opinion that his acceptance of Declan Hurl’s version of events, apparently at face value, does him no favours and shows poor judgment. However, I believe that there is a genuine willingness on his part to ensure that lessons are learned and that Amey is never again associated with the form of omnishambles that developed at Drumclay. Declan Hurl, on the other hand, appears to be of the opinion that he is the victim of events and the target of a conspiracy determined to twist every fact and action against him. This is simply not the case, and his Apologia is a partisan, biased, misleading, mendacious, fallacious, and disingenuous document that will surely haunt him for the remainder of his involvement in archaeology.